Encryption, Key Management, and Data Security…Oh My! This has been a busy year at Townsend Security with the addition of 2FA, the introduction of Key Management in AWS, Azure, and Key Connection for Drupal. Looking back over our data security blog and the most-viewed topics, I wonder... Did you miss out on any of these? Take some time to check them out! 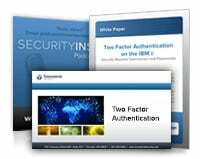 Key take-away: It is important to understand that while the IBM i platform may not be directly vulnerable to the Heartbleed problem, you may have lost IBM i User IDs and passwords over VPN or other connections which are vulnerable. 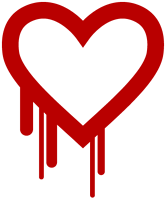 An exploit of Heartbleed can expose any information that you thought was being protected with session encryption. Key take-away: Even Triple DES (3DES), a way of using DES encryption three times, proved ineffective against brute force attacks (in addition to slowing down the process substantially). Key take-away: In February 2014 we released the first encryption key manager to run in Microsoft Windows Azure. This blog highlights four of our most frequently asked questions about providing data security IN the Cloud. Key take-away: Homomorphic encryption is a promising new cryptographic method and hopefully the cryptographic community will continue to work on it. It has yet to achieve adoption by standards bodies with a proper validation processes. Key take-away: Two-factor authentication (2FA) plays a critical role in both meeting compliance regulations and following data security best practices. This trend will only grow within various industries and throughout the overall data security environment. Key take-away: Amazon Web Services is a deep and rich cloud platform supporting a wide variety of operating systems, AWS services, and third party applications and services. This blog explores some of the ways that our Alliance Key Manager solution helps AWS customers and partners protect this sensitive data. 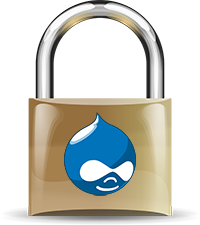 Key take-away: Working together to solve the Drupal data security problem, the security experts at Townsend Security and Drupal developers at Cellar Door Media have released the Key Connection for Drupal solution, which addresses the need for strong encryption and encryption key management within the Drupal framework. Now personally identifiable information collected during e-commerce checkouts and user account that contain names and e-mail addresses can be easily encrypted, and the encryption keys properly managed, by organizations that collect and store that sensitive information. Key take-away: This blog discusses backup/restore, key and policy mirroring, availability sets, and mirroring outside the Windows Azure Cloud. Alliance Key Manager in Windows Azure goes the distance to help ensure that you never lose an encryption key. You might be losing sleep over your move to the cloud, but you shouldn’t lose sleep over your encryption strategy. Key take-away: In a business world that is moving more towards virtualization and cloud environments, the need for strong encryption and proper key management is critical. Due to all the recent and well-publicized data breaches, we all know about the ways your brand can be damaged if you don’t encrypt your data. This blog takes a look at the benefits of encryption, and three of the ways it can have a positive effect on your business. Additional content: You’ll also discover that this is the third time in this Top-10 list that the eBook: The Encryption Guide is offered… so if you haven’t read it yet… what are you waiting for? In this latest white paper, authored by Stephen Wynkoop (SQL Server MVP, Founder & Editor at SSWUG.ORG), Stephen will address how “data at rest is data at risk”, specifically looking at the Microsoft Azure Cloud as a selected platform. The author covers a wide array of information, and discusses in detail how critical it is to do the important work of protecting information in a way that works both with your applications and with the compliance regulations & requirements that impact your company and industry. The options range from fully-managed data storage and access (Windows Azure SQL Database, WASD) to setting up a SQL Server with a Virtual Machine instance. Each certainly has its place, but there are big differences in options they support. Encryption, and the impact of encryption on your systems, is a big area of concern for those deploying it. Three different areas are important to consider when impact on systems is considered. There are core best practices to consider while you’re deploying your selected solution. Some are procedural while others are software/hardware implementations. Keep in mind that the key is to protect your most important secret: the encryption keys. You must provide for protection of the encryption keys, while still providing for access, updates and rotation (key management) of those encryption keys throughout their lifecycle. Stephen Wynkoop is the founder and editor for SSWUG. ORG – the SQL Server Worldwide User’s Group where he writes a column and maintains the site overall. SSWUG features a weekly video programs about the database and IT world, webcasts, articles, online virtual community events and virtual conferences several times a year. Stephen is a Microsoft SQL Server MVP and the author of more than 10 books, translated into at least 7 languages. Stephen has been working with SQL Server since the very first version, with a prior experience in database platforms that included dBase and Btrieve. Stephen can be contacted at swynk@sswug.org. One of the big fears that companies have as they deploy encryption of sensitive data is that they might lose their encryption key and never be able to decrypt and recover their data. Having spent some of my career in IT management I certainly understand where this comes from. There is nothing like a corrupted backup to turn a good day into a bad one. The same is true if you lose your encryption key. The first line of defense is always to have a backup of your encryption keys and key access policies. Alliance Key Manager provides you with an option to securely back up your encryption keys, security policies, and server settings and to move this backup out of Windows Azure to your own secure storage. You can do a manual backup at any time, and you can automate the backups on a schedule that you define. You can even automate the transfer of the backups to an external FTP server using secure, encrypted transfer methods. Don’t have an FTP server to receive your backups? Don’t worry, we can provide you with one in our secure cloud facility. The next line of defense is to implement real-time key and security policy mirroring from your primary Alliance Key Manager cloud instance to a failover key manager instance running in Windows Azure or to a key manager running outside of Windows Azure. Alliance Key Manager fully implements key mirroring over a secure, encrypted connection to one or more secondary key servers. The secondary key servers will contain exact copies of the encryption keys and their access policies, and will always be ready in the event your primary key server stops working. Alliance Key Manager supports Active-Active mirroring so that you will always have a full set of your encryption keys available to you even after a failover. Do you know about Windows Azure Availability Sets? This is a feature of Windows Azure to help you avoid unplanned outages due to failures of the cloud infrastructure or planned Windows Azure maintenance activities. We encourage our Windows Azure users to take advantage of Availability Sets when deploying a second Alliance Key Manager instance. It provides one more way to get the best reliability for your key management infrastructure in the Windows Azure cloud. Lastly, if you are still worried about losing your encryption keys, you can always mirror the keys to a key manager located outside the Windows Azure cloud. You could mirror your keys to a physical key manager HSM located in your data center or the hosting provider of your choice. Or, you could mirror your encryption keys to a dedicated key manager in our cloud data center (see Alliance Key Manager Cloud HSM). Or, you can mirror your keys to a VMware or Hyper-V instance of Alliance Key Manager in your data center or the hosting provider of your choice. Alliance Key Manager in Windows Azure goes the distance to help ensure that you never lose an encryption key. You might be losing sleep over your move to the cloud, but you shouldn’t lose sleep over your encryption strategy. The excitement level has been palpable around our office this week as we released the first encryption key manager to run in Microsoft Windows Azure, solving the data security problem that has held many companies back from adopting Microsoft's cloud. In preparation for this new product, we have had a number of questions to answer, so I thought we should recap a few of them and share an excellent podcast resource with our readers! What is the main issue that Microsoft Windows Azure customers are experiencing? The number one concern reported by companies or organizations when they think about moving to any cloud environment is security. The studies show that their biggest concerns revolve around exposure of personally identifiable information and preventing data loss. It is a big enough concern that many companies have held back from migrating mission-critical applications with sensitive data from their traditional data centers into the cloud. Keep your encryption keys are separate from the data that's being protected. Use dual control and separation of duties to protect your encryption keys. Follow best practices in terms of protecting data-at-rest and data-in-motion. What strategy do you use for deploying a key manager in Windows Azure? When you are running AKM as a Windows Azure virtual instance it is in a standard or virtual private cloud environment (VPC) allowing for better segmentation and isolation of your key management implementation. You definitely do not want to store encryption keys in the same virtual machine or instance of Windows Azure where sensitive data is stored. That would be like taping your house key to the front door when you leave home! In fact, the core concept for key management is to always separate the encryption keys from the data they protect. We know key management is critical to meeting compliance regulations, but is there any guidance about securing data in the cloud? It is very important for cloud users to protect data using good practical guidance from PCI Security Standards Council (PCI SSC) even if not storing credit card information. PCI SSC has issued Cloud Computing Guidelines as well as guidance around virtualization of data protection solutions, so you can be PCI compliant with a cloud-based key management and encryption solution. The Cloud Security Alliance (CSA) has also issued good guidance around security in cloud environments in version 3 of their documentation (domain 11 applies to encryption and key management). National Institute for Standards and Technology (NIST) also has produced a guidance for security in cloud environments (NIST Special Publication 800-144) which provides excellent guidance for people looking to move into cloud platforms and protect data there. How does your Alliance Key Manager help protect data in Windows Azure? For custom applications we provide a .NET assembly that you can use to add to your applications to perform encryption either on versions of SQL Server that don't support transparent data encryption (TDE) or on unstructured data that you may be storing in the Windows Azure platform. You are also able to encrypt data going into SQL Azure as well as MySQL or Oracle or any other database that you might be running. Alliance Key Manager comes with a complete library of SDKs and sample code for developers, along with purpose built applications that are ready to plug in and perform encryption, which will get encryption projects up and running very quickly. The primary concern of cloud customers is the security of their sensitive data. Security remains one of the major barriers to cloud adoption. And that makes sense. Cloud platforms like Microsoft Windows Azure are by their nature shared environments. The computational resources are shared, the network resources are shared, and the responsibility for physical security is ceded to a third party. That would make anyone nervous. There are also some additional practical issues. Where, for example, do you actually store your encryption keys that protect your data? For customers and software providers who are fully in the cloud, this is a difficult practical question. You just don’t have a convenient place to securely store encryption keys away from the data that they protect. Today we announced the availability of our latest encryption key management solution, Alliance Key Manager for Windows Azure. The same key management solution that we ship in our FIPS 140-2 compliant key management hardware security module (HSM) is now available as a virtual machine in Windows Azure. With a few clicks in the Windows Azure portal you can launch Alliance Key Manager for Windows Azure and start protecting encryption keys the right way. All of the features that make a hardware HSM desirable - key management and encryption dedicated to you, exclusive administrative access to only you (sorry cloud provider), encryption and key management provably based on industry standards, and high availability now run as your dedicated virtual machine. Alliance Key Manager for Windows Azure is deployed in just the way you would hope. An affordable, usage based pricing model, and managed through the same Windows Azure facility that you manage all of your other virtual machines. For added security, you can launch your virtual machine in a Windows Azure Virtual Private Cloud (VPC), and you can deploy two VMs in a Windows Azure Availability Set for better redundancy. As is the case for our hardware key management solutions, our Windows Azure cloud offering supports encryption within the key management virtual machine. This means that you don’t even need to expose the encryption key in your Windows Azure web application. Just send the data to the key management virtual machine and encryption or decryption takes place there. In conjunction with our launch into the Windows Azure platform, we’ve also added a great new feature we call “Ready-To-Use”. When you start your key management virtual machine for the first time it will automatically install a 30-day evaluation license, generate the certificates you need for authentication, and generate some encryption keys that are unique to you and ready to use with SQL Server, SharePoint, and your Windows .NET applications. You are ready to start encrypting in seconds. There are many challenges to meeting compliance regulations, and you should be aware of the recommendations of the Cloud Security Alliance and of the PCI Security Standards Council for encryption and key management. You don’t need to compromise with poor key management, or a key management solution that has never seen the daylight of a FIPS 140-2 validation. First, Windows Azure has both a Platform-as-a-Service offering (PaaS) to run applications and store data in SQL Azure, and an Infrastructure-as-a-Service (IaaS) offering that allows you to run full Virtual Machines. Our data protection solutions run in all versions of Windows Azure – anywhere you run applications in Azure, we provide encryption and key management solutions to protect your data. In this environment we provide .NET libraries that perform encryption key retrieval from our Alliance Key Manager, a FIPS 140-2 certified key management HSM. Any data store you choose for your sensitive data is supported by our client libraries and include SQL Azure. Our .NET software libraries are add-ins to your Visual Studio project and let you seamlessly retrieve encryption keys from the HSM. The Townsend Security EKM Provider software fully supports SQL Server Transparent Data Encryption (TDE) and Cell Level Encryption integrated with Townsend Security's Alliance Key Manager key server, a FIPS 140-2 certified HSM. Because no code or database application changes are required, TDE encryption is the fastest path to compliant data protection. Many Microsoft customers use SQL Server Standard or Web editions in the Azure cloud. These editions of SQL Server do not support EKM and TDE. For these versions of SQL Server Townsend provides .NET software libraries to implement automatic column level encryption using SQL Views and Triggers. Microsoft Dynamics CRM, GP, AX, etc. Microsoft customers using the popular Dynamics applications need to protect customer and employee information stored in these applications. Townsend Security's SQL Server TDE software provides full application data encryption and integrates with their Alliance Key Manager HSM. Many Microsoft users create custom applications using a variety of Microsoft technologies. For customers developing applications in any .NET language such as C#, VBNET, and so forth, Townsend provides .NET software libraries to perform encryption key retrieval and encryption. These libraries support the protection of unstructured data and purpose-built applications that need encryption support. Townsend supports a wide variety of non-Microsoft databases, languages and operating systems in Windows Azure. You can use Oracle Database, MySQL, and other commercial and open source databases on Azure. Townsend provides appropriate client-side libraries to help you protect data. Townsend also provides a rich set of language libraries to help you achieve your data protection goals. Language support includes Java, Perl, PHP, Python, C/C++, and others. And these work in other operating systems supported by Windows Azure such as Linux. At this point I hope you are getting the idea that we can help you with any of your data protection needs in the Microsoft Azure cloud. With key management solutions on hardware HSMs, hosted facilities, and VMware platforms, I think we’ve got your back when it comes to Azure data protection. ** RBS encryption available in late 2013. Listen to this podcast to learn about protecting sensitive data in Microsoft Azure with encryption and key management. Microsoft made a huge Windows Azure cloud announcement this June with their support for full Windows Server workloads including support for all major versions of SQL Server. Prior to the June announcement, Azure only supported Windows applications, and a simple database called SQL Azure. Now you can deploy full production Windows server instances to Azure. That is a really big change. However, study after study shows that the number one concern of organizations moving to the cloud is security. And the number one security issue is protecting sensitive data. And the number one problem in the area of data protection is how to manage encryption keys. By now most of you know that we have a strong partnership with Microsoft around SQL Server encryption. For months we’ve been helping customers protect SQL Server data using Alliance Key Manager, our encryption key manager. We cover every version and edition of SQL Server for encryption with NIST-certified encryption key management. Whether you are using SQL Server Enterprise Edition with Transparent Data Encryption (TDE), or SQL Server Standard or Web Editions without the TDE support, or even older versions of SQL Server – we have encryption and key management solutions that help you meet compliance regulations. So it is natural that we are hearing a lot from Microsoft customers about securing data in Azure. But how does all of this work in the Azure environment? The short answer is – it works in Azure just like it works everywhere else. Regardless of the Azure platform you are using, our encryption key manager protects the encryption keys that protect your data. You can run full SQL Server TDE in Azure, or you can run SQL Server Cell Level Encryption, or you can use our Windows .NET assembly to protect data in your .NET applications. In the same way that we protect SQL Server data in traditional IT environments, we protect it in every Microsoft Azure environment, too. And that means we protect SharePoint 2010 and Dynamics, too, when they are deployed on top of SQL Server with TDE. When you protect SQL Server with Alliance Key Manager, you can host the key server in your own data center, or you can install it at your own favorite hosting provider, or you can use a key server in our hosting center. The choice is yours. Moving applications to the cloud involves many challenges. Exposing your data without proper encryption does not have to be one of them. Listen to this podcast to learn about protecting sensitive data in Microsoft Windows Azure with encryption and key management. When it comes to encrypting data in the cloud, encryption key management can get a little tricky. I sat down with Patrick Townsend, CEO and Founder of Townsend Security to ask: If key management is so important for compliance, how can organizations working in cloud platforms such as Microsoft Windows Azure be sure they’re deploying good key management? 1. Use an external Hardware Security Module (HSM) as part of your own IT infrastructure. This model allows applications running in Windows Azure to use encryption services or retrieve an encryption key through a secure connection to the key server placed in your own IT infrastructure. Using dual control and separation of duties, this is usually the best and easiest model for Cloud users and will help you to meet data security compliance regulations. 2. Outsource encryption key management to a physical hosting environment. Rather than placing an encryption key management HSM in your own infrastructure, you can use a professional hosting company to hold your key management server in a high security hosting environment. With this model, your Windows Azure applications will communicate to the hosted key server off-site to perform encryption and key retrieval services. 3. Run Key Management in The Cloud. Storing encryption keys in the cloud is generally considered a bad idea. The cloud is typically a less secure environment because its services are usually shared with other users. These services include disk space, memory, and other facilities that other companies may also be using. In a cloud environment there are more factors and complexities at play, and many unknowns about how the cloud provider protects the data. Even compliance regulations such as PCI-DSS mention these risks associated with the cloud. That’s why we recommend companies use an external HSM, ideally within their own infrastructure, to keep their encryption keys under their own control and eliminate unknown factors. In the end, however, the model you use to store encryption keys isn’t the last step to protecting your data and meeting compliance. You must always, always, always, have a strategy for managing keys that includes dual control, separation of duties, and split knowledge. There are some companies using an external HSM for their keys and are still not meeting compliance regulations because they are managing their keys poorly. Want to learn more? Check out the Podcast, “Securing Microsoft Windows Azure with Encryption and Key Management” to learn how to meet compliance regulations with encryption and key management, performance considerations, managing encryption keys, and what to look for when deciding on an encryption key management solution. Sometimes when I think of the cloud, I still imagine all of my data floating around up in the sky. Which, of course, isn’t where the data lives at all. All of our data that we store in the cloud lives in massive data centers. How massive? I once heard one of these data centers described as so large that as you looked down the rows of servers you could see the curvature of the earth. It’s clear that the cloud is growing, and becoming critical in how we work with data, which is why data security in the cloud is becoming a very hot topic. Because we’re beginning to work with more and more companies who want to protect their data in Microsoft Windows Azure, I particularly wanted to address concerns about encryption and encryption key management in the Microsoft Windows Azure Cloud platform. So I sat down with Patrick Townsend, CEO of Townsend Security and Data Privacy Expert, to discuss data privacy issues in Microsoft Windows Azure. Here are some of my questions and his answers. Why is Data Security an Issue in Microsoft Windows Azure? Overall, the number one concern of organizations moving to the cloud is security. Almost all core applications that run in an enterprise environment collect and store sensitive information. This information might be cardholder data, social security numbers, tax IDs, or any other personally identifiable information (PII). Properly protecting that data with encryption and key management is critical for enterprise customers to meet industry and state data privacy regulations as well as to prevent data breaches. Microsoft Windows Azure is unique in that it actually has a few different facilities. The original Azure facilities were limited to .NET applications. This year Microsoft made a big jump to provide full Infrastructure-as-a-Service (IaaS) capability within Azure, to allow customers to run Windows, SQL Server, and almost any other Windows type of environment in Azure. Those capabilities opened the door to allow applications to move into Azure, and along with them came all of the issues of data protection. Now, with all of those applications running in Windows Azure, the big challenge is getting a proper encryption and key management strategy in place to protect all of the sensitive data that those applications process. Does Windows Azure provide customers with encryption capabilities? Yes, Microsoft has really done a good job in terms of supporting encryption across all Azure platforms. In itself, Microsoft Windows has really good AES encryption capabilities in their .NET libraries. Azure and SQL Azure can leverage these .NET encryption capabilities. In fact, we’ve done a proof-of-concept where we show exactly how to do this in Azure. It’s actually very straightforward. In Azure you have the option to deploy either Transparent Data Encryption (TDE) to encrypt all data or Cell Level Encryption to encrypt data on a column-by-column basis. Encryption key management can be implemented by leveraging Microsoft’s Extensible Key Manager (EKM) capabilities. Although Microsoft gives you the option to store the encryption keys locally in the same server where you store data, in order to be compliant with most data security regulations and avoid data breach notification, customers must use an external Hardware Security Module (HSM) to store their encryption keys and use best practices such as dual control and separation of duties. Overall, I think Microsoft has truly done a great job with encryption performance. The greatest challenge people will have when protecting data is encryption key management, and doing it properly. It’s not just a challenge for Microsoft Windows Azure, but for all Cloud platforms. Luckily, we’ve developed a model to help companies do key management right. Download our podcast "Securing Microsoft Windows Azure with Encryption & Key Management" for more information on protecting sensitive data in Microsoft Azure with encryption and key management, best practices for managing encryption keys, and what to look for when deciding on an encryption key management solution.